Hand #113: Denis Timofeev moved all in from the small blind for 9,950,000. 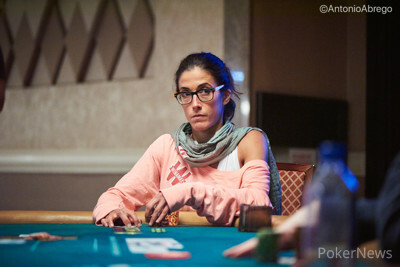 Leo Margets, in the big blind, quickly called, putting at risk her last 2,250,000. 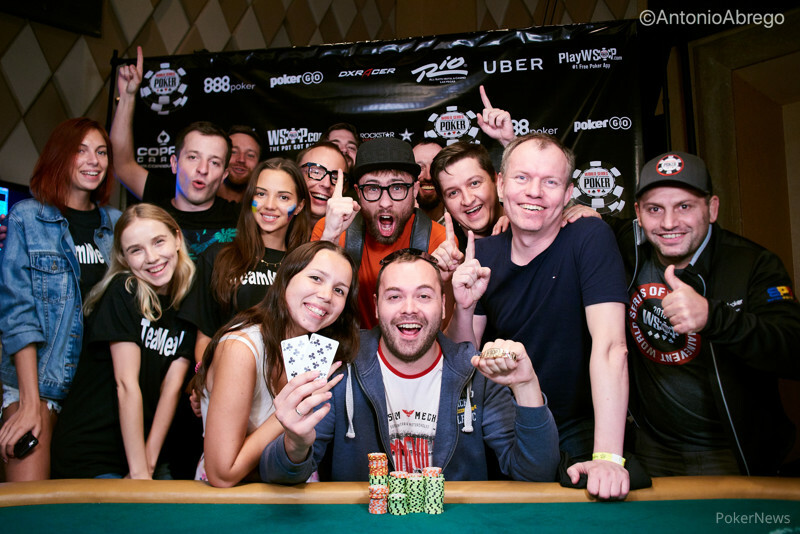 The board ran and Timofeev rivered a flush to win the tournament and the WSOP gold bracelet, eliminating Margets in second place for $123,297.